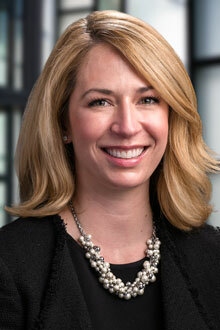 Courtney Longo is a partner in the Boston office of Lewis Brisbois and a member of the Labor & Employment and Professional Liability practices. Ms. Longo’s experience includes representing New England employers in all aspects of litigation at the Massachusetts Commission Against Discrimination, the U.S. District Court for the District of Massachusetts, and in Massachusetts state courts against claims of discrimination, harassment, and retaliation, as well as against wage and hour claims. Ms. Longo also represents a variety of New England professionals including lawyers, architects, engineers, medical professionals, veterinarians, financial brokers/dealers, directors and officers, insurance brokers, and real estate agents in professional liability matters. Ms. Longo frequently lectures on employment trends and best practices.